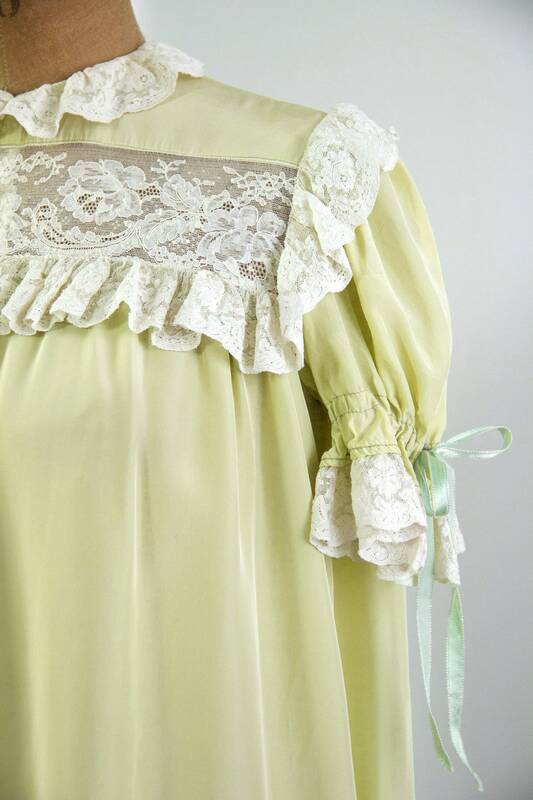 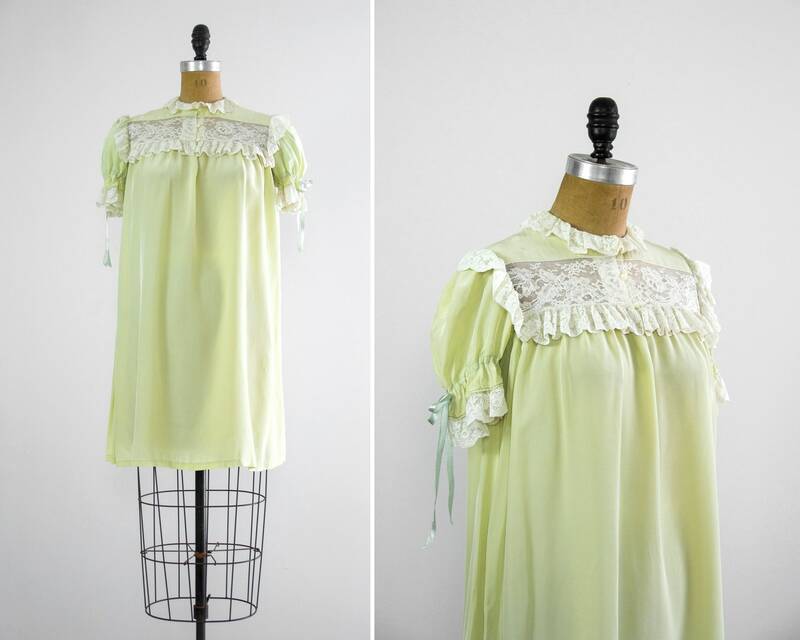 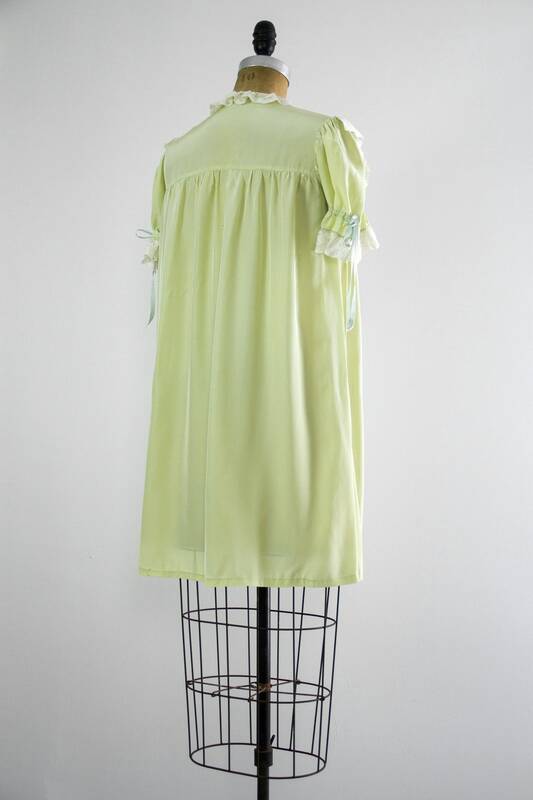 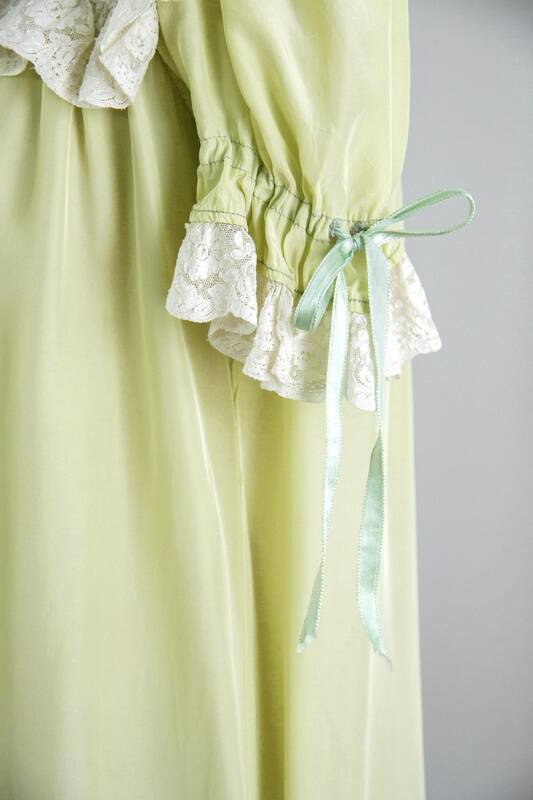 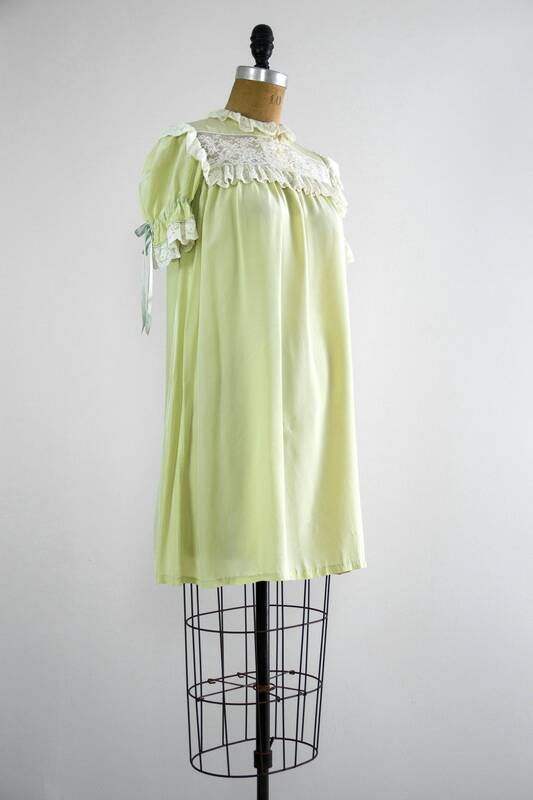 Vintage 1950s green nightgown. 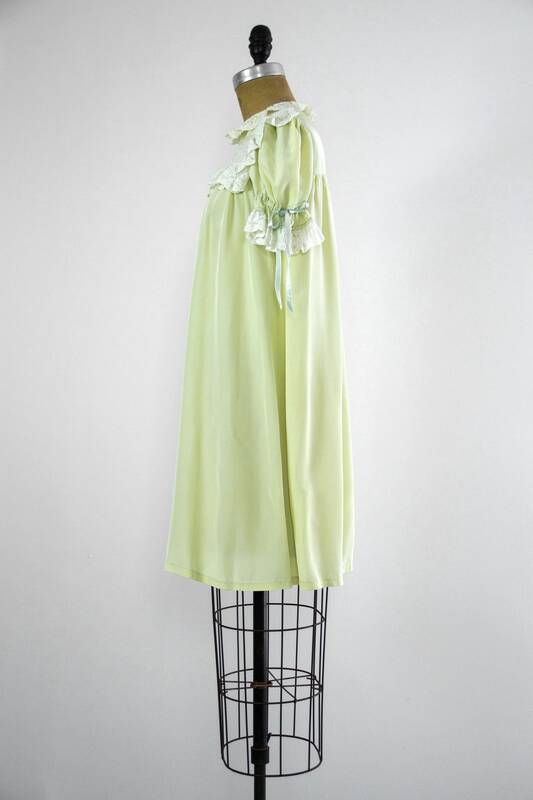 Made from a silky, lustrous nylon in pale celery color. 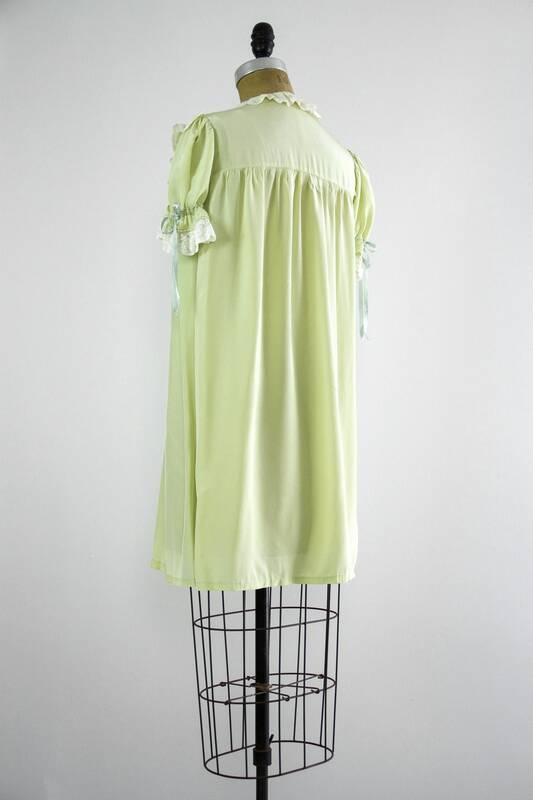 Fabric is lightweight and flows nicely. 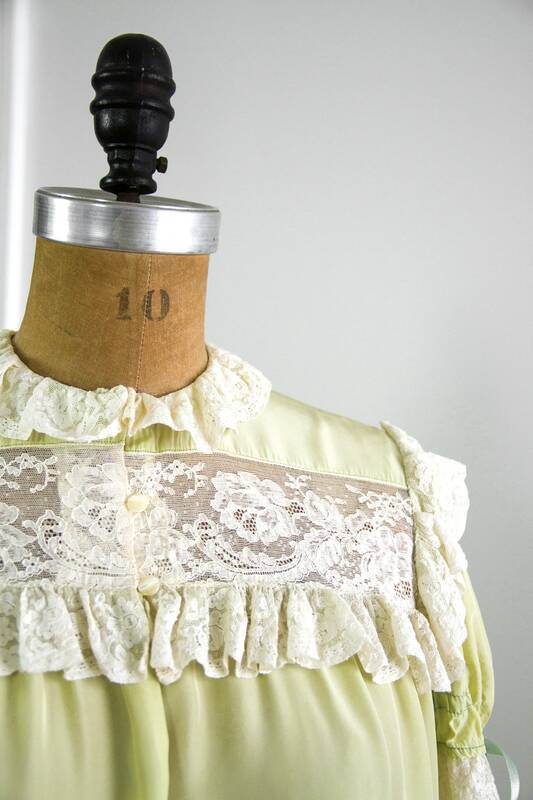 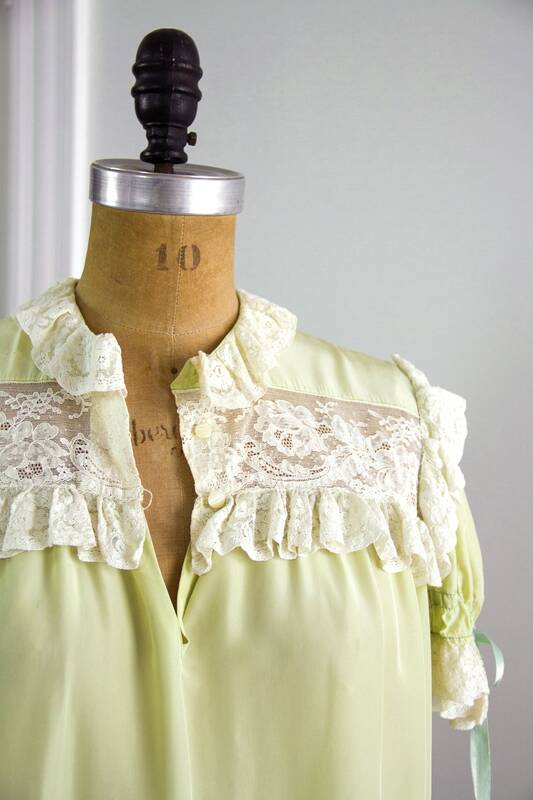 Has ruffled lace collar and sleeve details, 3 buttons down the neckline, and a drawstring ribbon at each sleeve. 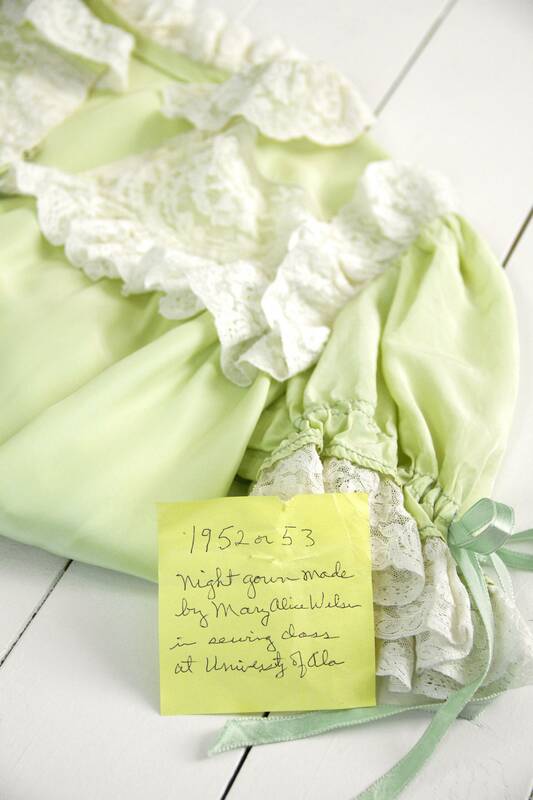 This was handmade with love and care in a college home economics class in 1952-1953.